In case you didn't know already, Sweet Bloom Photography has, unfortunately, moved away from Ohio due to my husbands job. We are now in Lexington, KY! Now, I had big plans of taking some time away from photography while in Lexington, however, I've found that I don't do well with "time off" ;) I miss snuggling newborns and hearing those chubby baby laughs way too much! SO, I've decided to reopen with an all new in-home studio - The plan is to open in early 2018 and I am pumped! The new in-home studio is located in Hamburg/right off I-75 and will be in our walkout basement - all with its own entrance, bathroom, etc. There will be 2 shooting areas, a prop room, and a sitting area with TV/Netflix for parents and plenty of toys for little brothers & sisters that might be tagging along. It will be cozy but cute :) I plan to get started on setting everything up within the coming weeks and will definitely share updates along the way. You can check those out on our Facebook and Instagram. Come Spring/warmer weather, I will also be offering on-location sessions for baby and maternity. 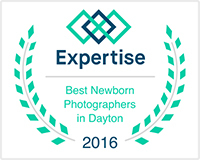 For now, we are only booking very limited newborn and baby sessions in-studio for January through April. If you are in/near Lexington and are interested in booking a session with us, you can view information & pricing for newborn sessions here and baby sessions here.